The detailed forecast is broken into sky, ground, and sun/moon information. 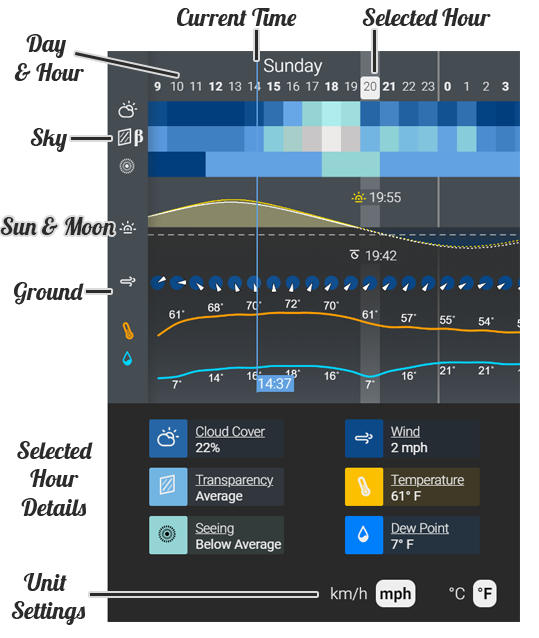 Tapping on any hour in the forecast will show the specific values for each row. The extended 8 day cloud forecast is color calibrated to the same values as the 48 hour cloud forecast.